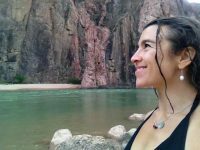 Jennie Gershater Lopez, MA, LMT serves as a Somatic Healing Arts Practitioner and Doula supporting and guiding individuals through significant life thresholds since 1998. Included in her medicine basket are: Somatic Psychotherapy, Dance/Movement Therapy, Soul-Centered Bodywork and Somatic Archaeology™ , all woven with a deep sense of presence. Jennie shows up as a Tribal Tender throughout the cycles of LIFE…as the spirit of tending is rooted in her bones. She weaves deep witnessing, movement, ritual, healing touch, the creative process, the natural world and story-telling to support people to remember their inner wisdom (body~mind~heart~ soul). 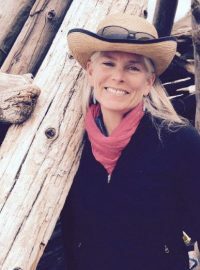 Jennie is devoted to the reconnection and reclamation of one’s soul story or larger story that lives through them in hopes of rippling embodied life, meaning and sense of purpose into the world. Since 2007, she has served as a somatic therapist for Surfing the Creative®, an international movement-based rites of passage program for young people and other SomaSource® programs. She has developed and implemented rites of passage and empowerment programs for at-risk youth from diverse backgrounds and leads workshops for women at many stages in their lives. She and her husband are deepening their collective work of holding sacred space for couples and cultivating experiences for the creative expression of these stories to be shared in sacred theatre offerings. Jennie returns to wild earth places regularly to remember her own origin, her own larger story and her own inter-connectedness to the web of life. I support people to cultivate a very personal and intimate relationship with Nature; with the mysteries inherent in the Wild Earth and their own true natures. I encourage individuals to live into their own life-size questions, their deep inner knowing, and the courageous conversations that break their hearts open to the world. I creatively assist the people I serve to recognize and remember the core relationships, stories, images & dreams that connect them to their home ground of belonging and creative service in the world. My work engages the mind, hearts, bodies and imaginations of the ones I guide through forms such as: soul-centric dream work, deep imagery, ceremony, soul tasks in nature, council, soul art and writing, Hakomi™, Somatic Archeology™, and specially designed wilderness retreats for individuals, couples and small groups.